Srujan Studio, Kalyan has provided Shivanand Swami Sangeet Pratishthan with good quality recordings of Pandit Gajananbuwa Joshi. 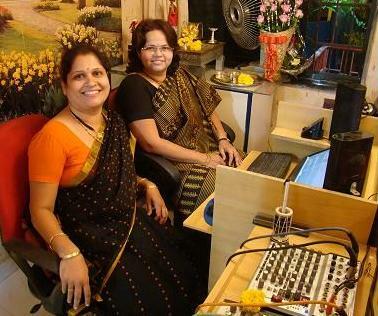 Srujan is the 1st Recording studio in Kalyan, owned by two women: Mrudula Sathe and Manisha Gharpure. Both of them are trained in Hindustani Classical Music. They have received formal education from various Gurus & passed Akhil Bharatiya Gandharva Mahavidyalaya's Alankar & Visharad exams respectively. This helps them to understand the requirements of overall quality music recording & they can add different dimension in the recording. They have expertise in making Demo Cd's for upcoming artists with guidance. Srujan is specialized in converting cassettes to CDs with proper editing.